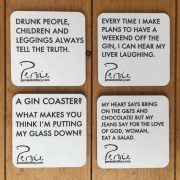 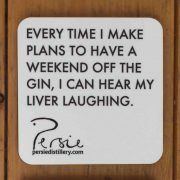 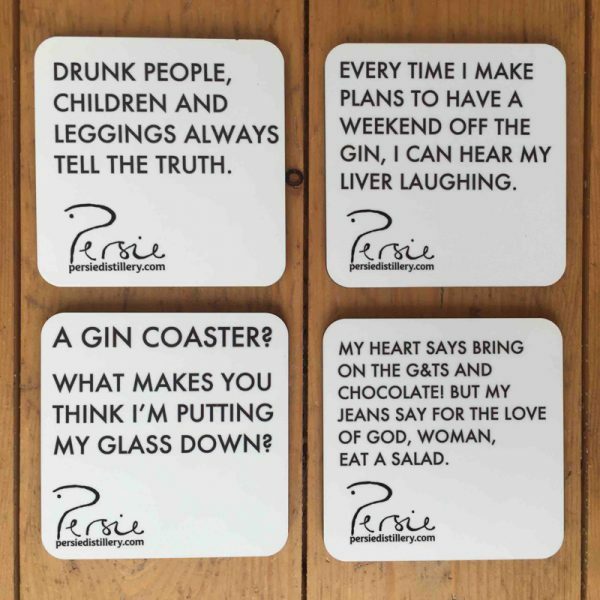 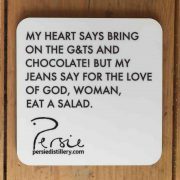 Pack of 4 x coasters featuring different gin funnies. 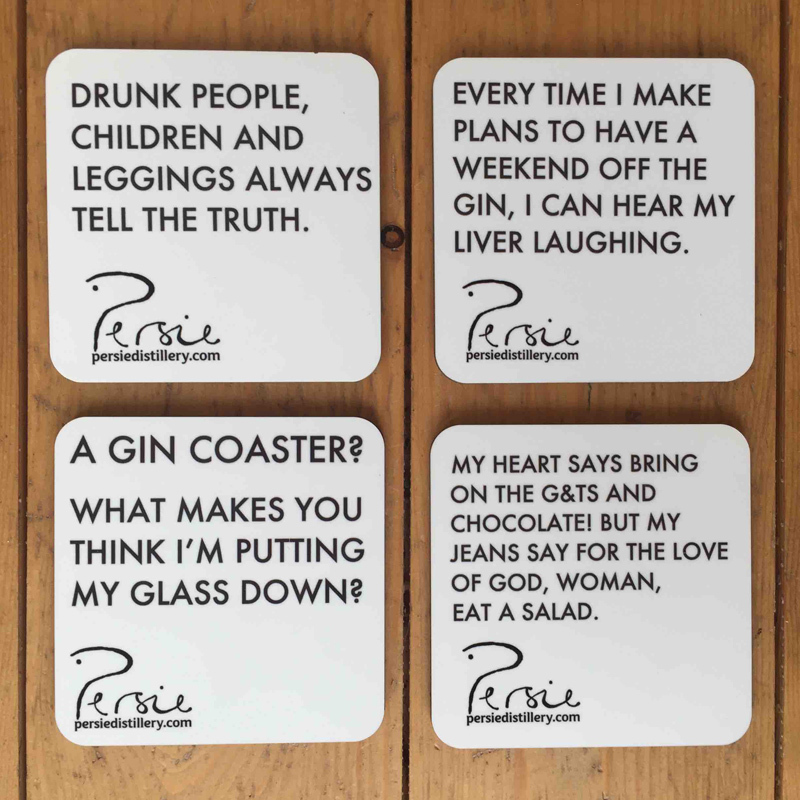 Heat resistant melamine with non-slip cork backing. 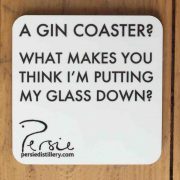 Measures 10cm x 10cm.